I know this is very tiny print, but if you click on the picture you can enlarge it. 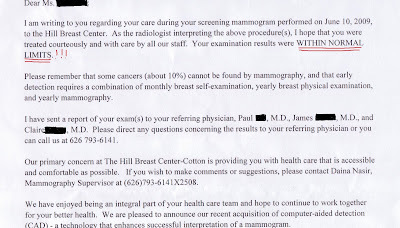 Results of the mammogram were Within Normal Limits. woo hoo! We are so happy! huge sigh of relief! Good news!! No more cancer!! Love you! !